I just love this headband. I needed something red in my wardrobe and this is perfect. It can have a casual look or an elegant look to it... and It only took two minutes to make! Seriously guys, this is so easy. 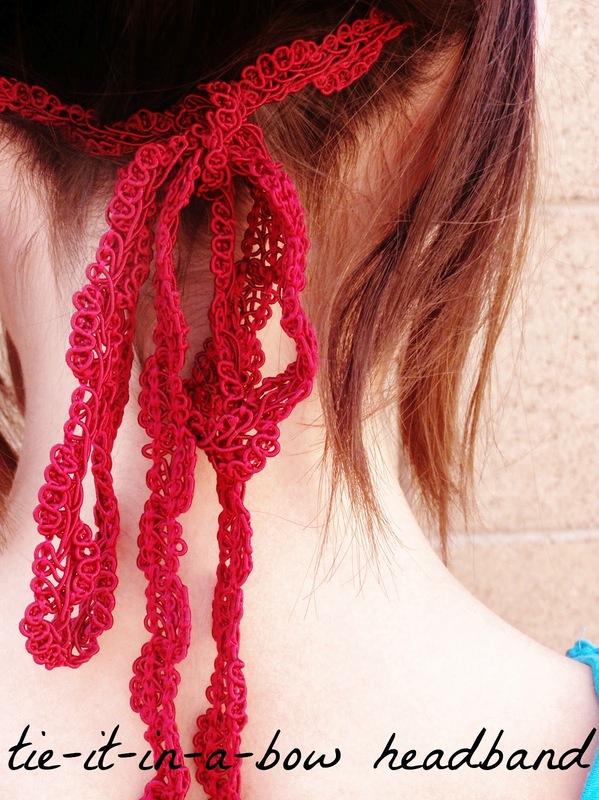 So this is how you make it - cut your trim long enough to fit around your head and tie it in a big bow at your neck. Hot glue the ends so they don't fray (and then continue to burn your fingers like I did). DONE! Didn't I tell you? SO easy! You can also double this as a skinny belt. Wouldn't it look adorable with a cream colored shirt?